Written by Members, for the Members! 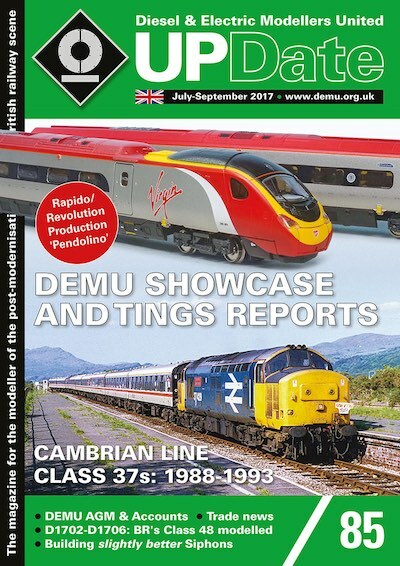 UPDate is the magazine of DEMU and is just one of several membership benefits. UPDate is produced in full colour and published four times per year. Kelly Harding is the current editor and welcomes any content from all of our members. UPDate features useful articles written about models (all scales) and the prototype. We try to cover subjects not normally seen in the mainstream modelling press and aim to be as in depth, informative and accurate as possible. 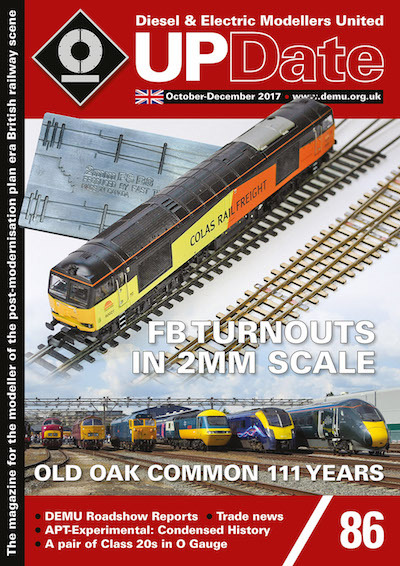 Electronic back issues of UPDate are available on our Wiki for members to download and are an easy way of catching up for new members. 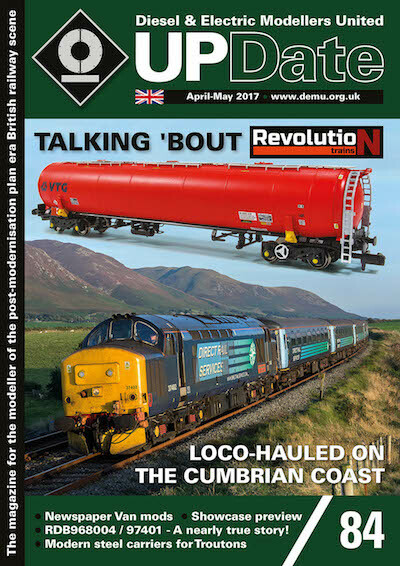 The more recent magazines are available in very limited numbers as single issues. The index below contains the data for Updates 0 - 85.